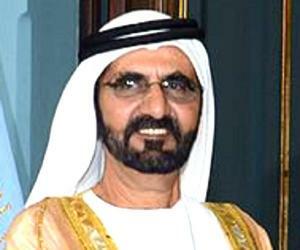 Mohammed bin Rashid Al Maktoum is the vice president and prime minister of the United Arab Emirates (UAE) and the ruler of Dubai. Check out this biography to know more about his childhood, family, personal life, etc. He was born on July 15, 1949, in Al Shindagha, Dubai, Trucial States (Now the UAE) to Sheikh Rashid bin Saeed Al Maktoum and Latifa bint Hamdan Al Nahyan. 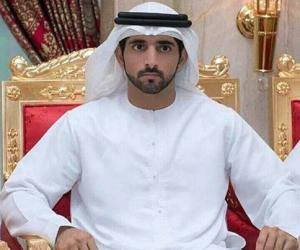 He is the third son of Dubai’s ruling Maktoum family, who are descendents of the ‘House of Al-Falasi.’ His mother was the daughter of the ruler of Abu Dhabi. He was privately tutored in Arabic and Islamic Studies since he was 4 years old. He started his formal education in 1955, at the ‘Al Ahmedia School,’ and then moved to the ‘Al Shaab School.’ He joined the ‘Dubai Secondary School’ two years later. 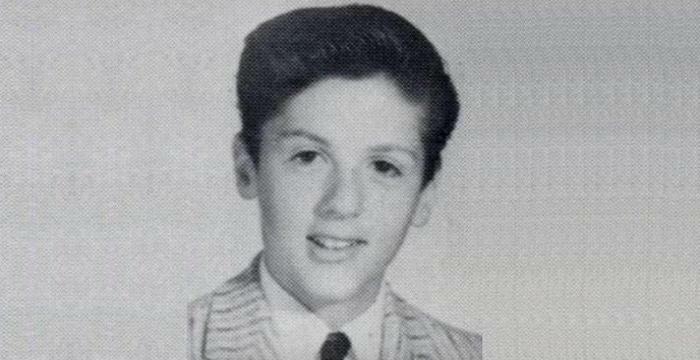 He was fond of horses as a child and often stopped by at the stables on his way to school. In 1966, he joined the ‘Bell Educational Trust’s English Language School’ in the UK and then joined ‘Mons Officer Cadet School’ in Aldershot (subsequently, part of Sandhurst). He graduated as the best Commonwealth student, with the sword of honor. After his cadet training, he went to Italy to train as a pilot. He was made the head of the ‘Dubai Police Force’ and the ‘Dubai Defence Force’ by his father when he returned to Dubai on completion of his military training. Soon, the British forces withdrew from the Trucial States. 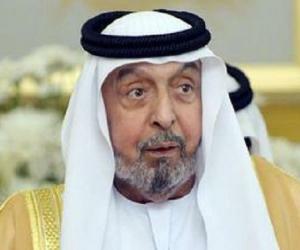 He became the first minister of defense of the newly formed UAE, in December 1971. He was also responsible for the ‘Dubai Civil Aviation Authority.’ He was instrumental in the launch of the Dubai-based airlines, ‘Emirates,’ in October 1985. ‘Emirates’ later became one of the world’s leading airlines. His involvement with flying led him to inaugurate the first ‘Dubai Airshow’ in 1985. The show remains witness to some of the biggest aircraft deals of the region every year. His elder brother, Maktoum bin Rashid Al Maktoum, appointed him as the “Crown Prince of Dubai” by signing two decrees in January 1995. 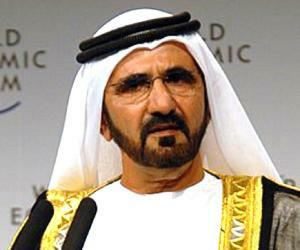 Mohammed became the ruler of Dubai in January 2006, after the death of his brother. Subsequently, he was appointed as the vice president of the UAE by the ‘Federal National Council,’ and in February 2006, he was nominated as the prime minister of the UAE by President Khalifa Bin Zayed Al Nahyan. As the prime minister of his country, he made strategic reforms in the ‘Federation’s governance, to achieve better coordination and planning in the social, economic, legislative, and judicial fields at the federal and local levels. 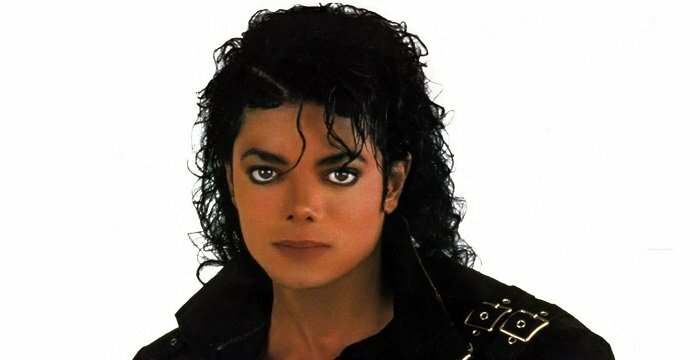 He released ‘Vision 2021’ in February 2010. It was a plan that was considered to be a masterpiece in terms of long-term strategy and national agenda. He showed zero tolerance to corruption and acted ruthlessly to weed out corruption from the system by targeting high-profile offenders, such as the head of ‘Dubai Customs’ and government-owned real-estate agencies. He founded the ‘Mohammed bin Rashid Global Initiatives’ (MBRGI) to promote humanitarian aid and to bring about a change and improve the quality of life of the oppressed all over the world. He has initiated several programs that support over 130 million people in 116 countries. He is a strong supporter of the Palestinian cause against the Israeli occupation. He has often mentioned the need to follow a two-state solution to bring about peace in the region and the need to address the Palestinian issue before normalizing relations with Israel. He has also made large donations for the rehabilitation of Palestinians and Afghans in the war-torn regions. 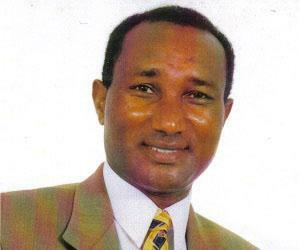 He has authored the publications ‘My Vision: Challenges in the Race for Excellence’ (2004), ‘Poems from the Desert’ (2009), ‘Spirit of the Union: Lecture on the Occasion of the United Arab Emirates 40th National Day’ (2012) and ‘Flashes of Thought: Lessons in Life and Leadership from the Man behind Dubai’ (2015). His major achievements in the political field are the establishment of the ‘Mohammed Bin Rashid School of Government’ and his drive against corruption. The ‘Burj Khalifa’ and the ‘Burj Al Arab’ and two landmark constructions that have come up under his rule. Sheikh Mohammed owns a number of businesses, which include ‘Dubai World’ and ‘Dubai Holding.’ His companies have ventured into real estate, logistics, finance, hospitality, and communications, across the globe. He formed ‘DP World’ by merging ‘Dubai Ports Authority’ and ‘Dubai Ports International.’ The organization became a global player in the acquisition of ports. 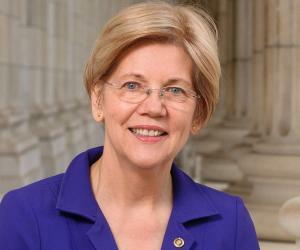 Soon, politicians in the US began to express their concerns about the company’s acquisition of a number of US ports. The ‘Burj Al Arab’ was constructed on the instructions of Sheikh Mohammed, who wished to make an iconic building that would house the world’s most luxurious hotel. It is constructed on an island off Jumeirah Beach. The ‘Mohammed bin Rashid School of Government’ is a top-class academic and research institution in the field of administration that centers on the Arab world. It also maintains close relations with international institutions and organizes global conferences on administration. 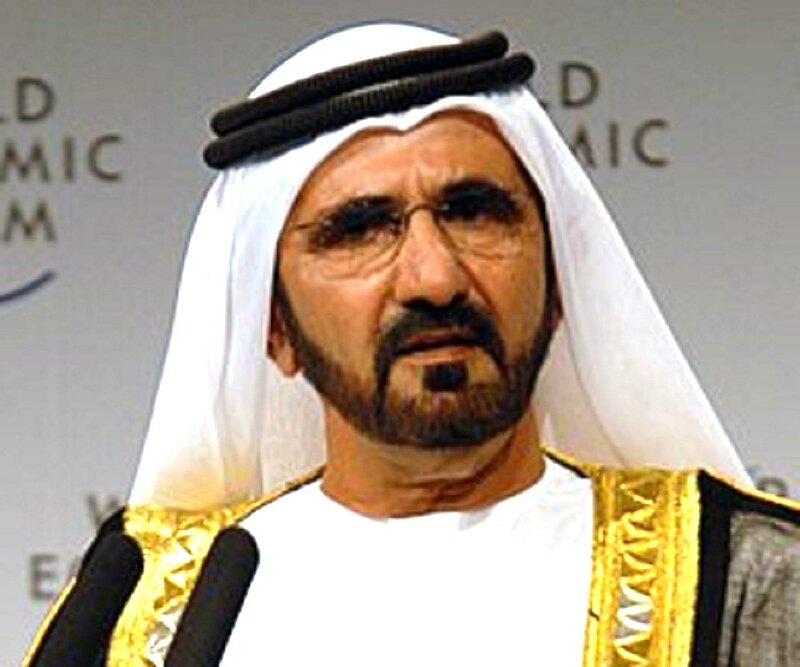 Sheikh Mohammed is an international figure in the field of horse breeding and owns ‘Darley Stud,’ which is one of the biggest horse-breeding centers in the world, with farms in the US, England, Ireland, and Australia. He initiated the ‘Dubai World Cup,’ which is one of the most highly rated international horse-racing events. He came under criticism for encouraging enslavement of thousands of young boys as jockeys in camel races. He was implicated for allowing the use of highly toxic steroids for horse racing. He was also accused of abusing his daughters on multiple occasions.